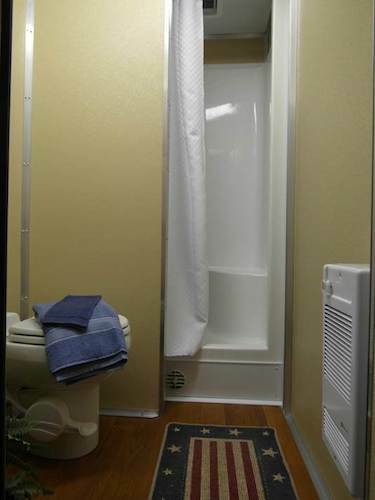 The 3 Stall Combo Mobile Shower Trailer ensures levels of comfort that are typically reserved for an in-home bathroom. 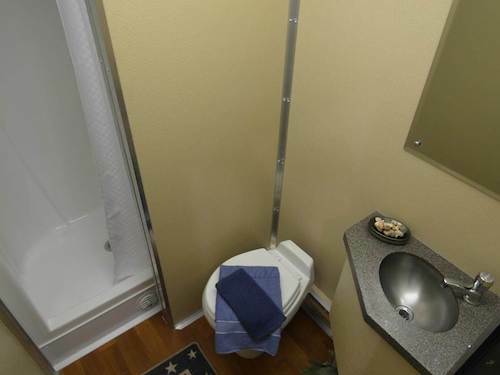 This shower trailer features three private bathroom stalls each complete with a toilet and shower, amble dressing space, hot and cold running water and in-room heat and air conditioning. Set-up requires four standard 110v outlets on separate 20 amp circuits and a garden hose for the water supply. 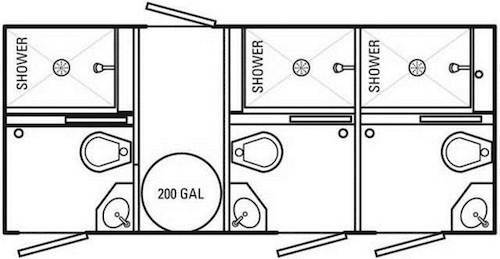 Shower trailers can also be hooked directly into a sewer line for continuous use (or serviced by a waste-holding tank) and if no running water is available we can fill the 300-gallon water tank to provide a self-contained shower unit. The unit can provide relief in disaster zones, a comfortable place to wash off yesterday’s fun at a music festival or add a touch of civilization to remote construction sites in Ohio and the surrounding states.. 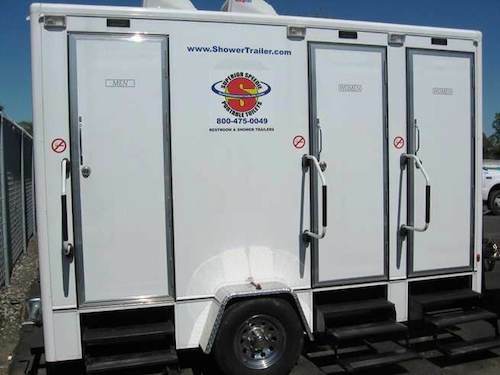 Contact us if you want more information about our mobile shower trailers.